Hairgenic’s Pronexa Hair Regrowth Therapy Shampoo is a market leading clinical strength hair growth and nourishment shampoo. 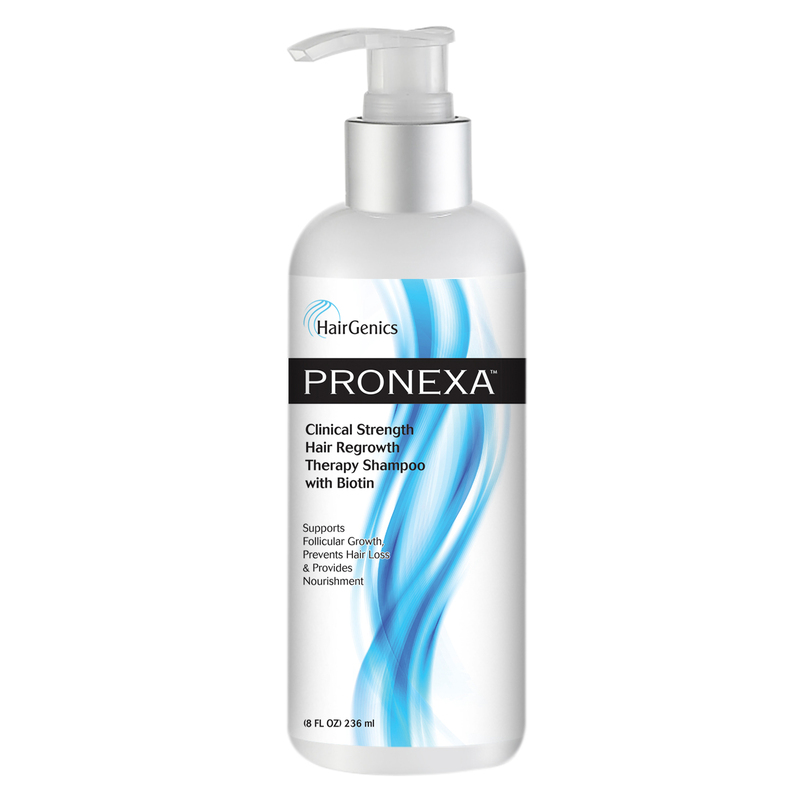 Our Pronexa shampoo utilizes the absolute latest and greatest clinically proven ingredients in a specially balanced formula that helps stimulate and nourish the hair growth systems of the body while mitigating thinning and loss from other factors. All of our products come back by a rock solid 30 day money back guarantee, so order today with confidence that you have nothing to lose… and soon you will be losing less hair! I have been on the hunt for a quality hair growth and regrowth promoting shampoo / conditioner combo for over a year now after a friend claimed some decent before and after results with switching to specialty products from your common grocery store type items. It’s by no means a quick acting magic bullet fix as some other products will claim, but after religious use of Hairgenics shampoo and conditioner and some good healthy diet changes, I’m starting to really reap the rewards of using them. 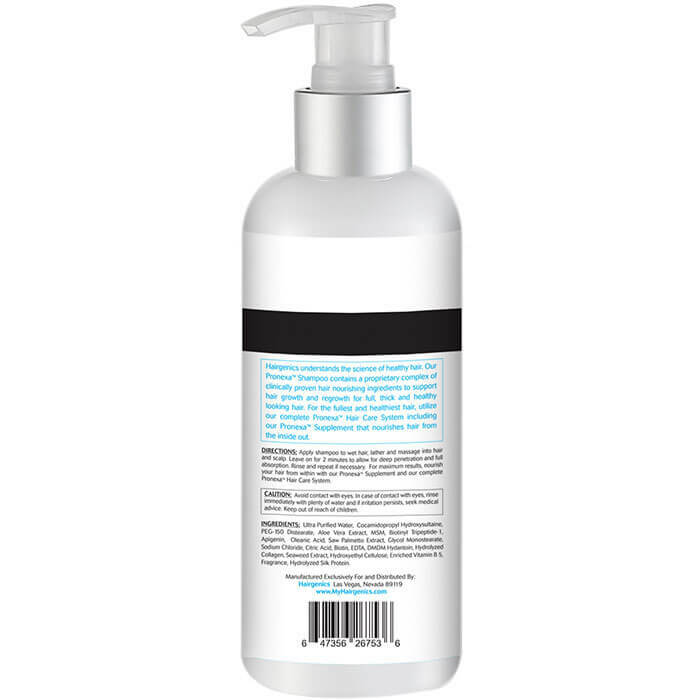 I figured I’d leave at least one guaranteed positive rating and review of this product and let you other cautious shoppers know that with time, this product definitely is feeling legitimate and worth the price they ask for such a small bottle of shampoo/conditioner that is especially marketed for hair growth and health long term. On my 3rd bottle of this stuff because I just lather the heck out of it… I started getting compliments after a month and I don’t care how expensive it is… it sure as heck beats the prescriptions and cosmetic procedures!